6 credit card tips to help you be smarter with your money. 6 things you probably didn't know about your credit card. By Lucy Fahey , Stephen Letts and Clare Blumer. With just eight shopping days until Christmas, take a look at some surprising hard truths about credit card debt in Australia. As an early Christmas present, a Senate committee also just handed down a report on credit cards and interest rates. 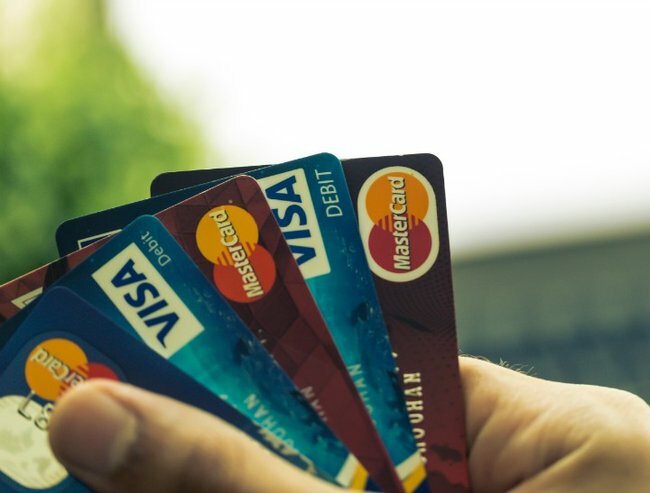 Only one-third of people think they pay interest on their credit cards but the Australian Bureau of Statistics suggests the real figure is actually about double that. Looks like many Australians are being overly optimistic. Banks say that they don’t make much money on credit cards compared to home loans. But that doesn’t mean they’re not making money. The National Australia Bank makes about a 1.3 per cent margin on home loans, whereas credit cards pull in a 9 per cent profit for the big four banks, and about 14.74 per cent for cards that are accruing interest. There&apos;s been a 2.75 per cent drop in the cash rate since late 2011 but credit card interest rates haven&apos;t shifted. While home loan rates have moved pretty much in line with the cash rate set by the Reserve Bank, credit card rates have stayed steady, leaving some cardholders scratching their heads. Many people don&apos;t realise reward programs deliver little or nothing unless you spend $18,000 on your credit card each year. Flights and cash rewards are common incentives to sign up to a rewards card but they often come with higher annual fees and an above average interest rate. Turns out these cards aren&apos;t much bang for your back. Australians on lower incomes have higher amounts of credit card debt than the average person. If Australians are split by wealth into five groups, the second poorest group has about the same amount of debt as the richest group of Australians. If you look at that debt as a percentage of income, the burden is much higher for the poorer group of people. There are about 16 million credit and charge accounts in Australia. Over the past 20 years the money owed has risen from just under $6 billion to almost $50 billion - although balances accruing interest have actually fallen in the past few years. Credit cards and debit cards are being used to pay for almost everything in our lives from groceries to holidays, but racking up debt on bananas and chocolate ice cream is one of the most unsafe ways to use a credit card.